And That's That: We are on the Road! A couple of seemingly unrelated things caught my eye yesterday. First, it is the 30th anniversary of the release of my favorite film of all time: Indiana Jones and the Raiders of the Lost Ark. The second was an 1888 book on geology and geography (Eclectic Physical Geography by Russell Hinman) that I found in my bookshelves while looking for something else (Thanks Jim, for the gift!). 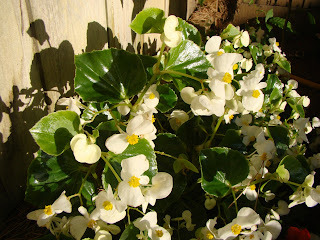 The third thing that caught my eye was the flower display in my yard, which I wrote about in the previous post. A routine life may be comfortable and predictable, but routine doesn't allow much room for growth and discovery. I have lived in one place for more than twenty years (very routine! ), and there are places that I haunt with regularity (also routine), and I will sometimes sit in these restaurants or wander through the aisles of the stores and just listen to the ebb and flow of noise and actions of the staff. They never change; the players change, the owners change, but the essential activity never does. To what purpose? Usually to make money, to take home a paycheck. But through all the transactions, both economic and personal, little is learned, little is discovered, and no one gains anything more than a full stomach or a few bags of groceries (though these are very nice things to have). The workplace has a purpose, but for the most part that purpose has little to do with expanding the minds of those involved. There isn't any room, or desire, for human discovery. In the most cynical sense, we are supposed to stick to our routine, do our jobs, not cause trouble, and buy things. One of the shocking lines in the movie "The Truman Show" was a teacher telling a young Truman "Oh, you're too late! There's nothing left to explore!" in response to his desire to travel the world like Magellan. In so many ways, society seems to be telling us all the same thing. When the budget axe falls, science and the arts in schools disappear in favor of more math and English multiple-choice standardized test-teaching courses. 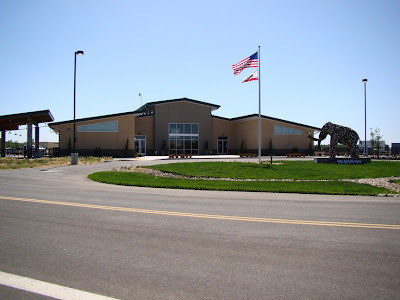 Libraries close, science divisions in state and national government disappear. Television and other media no longer have full time science editors, apart from weather readers. I might be overstating this, given the success of the Discovery Channel and others, but really, don't they go the mostly for spectacle? As a society, we are losing the sense of a need for discovery, and we are not providing outlets for it, especially among our children. There is nothing, we are told, in actions if not words, left to explore...(a tweet making the rounds notes that "if you watch NASA backwards, it's about a space agency that has no spaceflight capability, then does low-orbit flights, then lands on moon."). In classes, we teach what others have discovered and our students sit passively, learning facts but not the excitement of the human journey. In a geologic sense, many of the places in my country and state have been explored, but...not by my students. And that is what all my disparate threads are all about: the need to get students into the field. No textbook, no blog (including this one), and no virtual field guide can ever replace the adventure of placing your hands on the rocks of a fresh lava flow or the ancient crust, or a dinosaur fossil in situ, or a crystal gleaming in a cavity one has just opened up with a chisel. A personal discovery is just as significant, just as important, as all the discoveries made by the Magellans, Newtons and Einsteins of the world, because in that personal life it will never be forgotten, and it will enrich that life in a way that rote learning cannot. "Raiders" was a great Saturday movie serial, a white knuckle adventure that was never meant to be a career documentary on being an archaeologist or geologist. 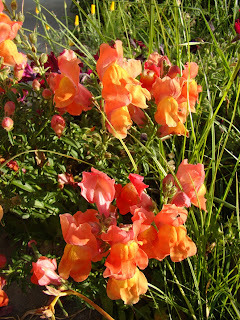 Yet, scattered here and there in the plot were tidbits of truth. The most important lesson was that no discovery comes without education and preparation. Discovery is hard work sometimes. Indiana Jones may have been a tomb raider of the worst kind, but he knew where to look because he was educated. Discoveries can't happen without planning and informed intuition. The textbook in physical geography was a revelation simply because it revealed how little we as a species knew only a century ago. There were 70 known elements, there were only stars in the universe, not galaxies, the sun shone because of condensation of gases and impacts by meteorites, the Antarctic was possibly some islands, and no reason at all was known for the occurrence of earthquakes and volcanoes. There was gravity, but there was also a luminiferous ether, and no such thing as radiation. The racism in the final chapter is shocking. But, for all of its shortcomings (in hindsight), there was also an expectation that the unknown would be discovered in the future. I don't get that feeling so much from textbooks today. There are huge mysteries still to be solved, and our kids need to know this. So, despite budget disasters and cuts in education, the chance for rain and snow (in June! ), and high gas prices, we are going to hit the road for two weeks, and our students are going to discover...something. I will try to keep you posted whenever possible. 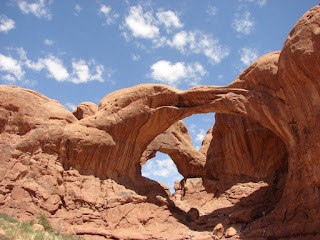 The pictures bookending today's post are the settings for two of the most famous scenes from the Indiana Jones movies. Who can identify the locations and the two scenes? I remember a sequence in the movie "The Truman Show" when the assembled cast was trying to convince Truman that he really didn't want to leave his home island; there were posters in the travel agency describing the horrors of terrorism or something, and there were no flights to Fiji for a month, the bus out of town broke down, and when he took a car, a nuclear power plant blew up and blocked the highway. Even as a child, he said he wanted to be an explorer, like the great Magellan. His teacher responded by saying "Oh, you're too late! There's nothing left to explore!" There's a person I know. He was married for many years, decades actually, to a fine woman. They raised several sons, and he worked every day at a bank. He was a vice-president back in the day when in relatively small banks, vice-presidents were not quite the greedy captains of industry and finance that they are today. Every day he would commute by bus or train into the city, do his work, come home to a meal that was ready as he walked into the back door. There was television, or on Fridays, card games with the sons and their families, and that was the way it was for years. His wife worked every day to make sure his routine was not interrupted. They seemed, when I knew them, to be happy enough with their lives. Sad events intervened. His wife became seriously ill, and after several hard months, passed away. By then he was retired, and now he was alone. What was to happen now? Disruptive events in life have many outcomes, some good, some not so good. And some people surprise you. He loved his wife and never has forgotten her. But to say he broke out of a routine is an understatement. 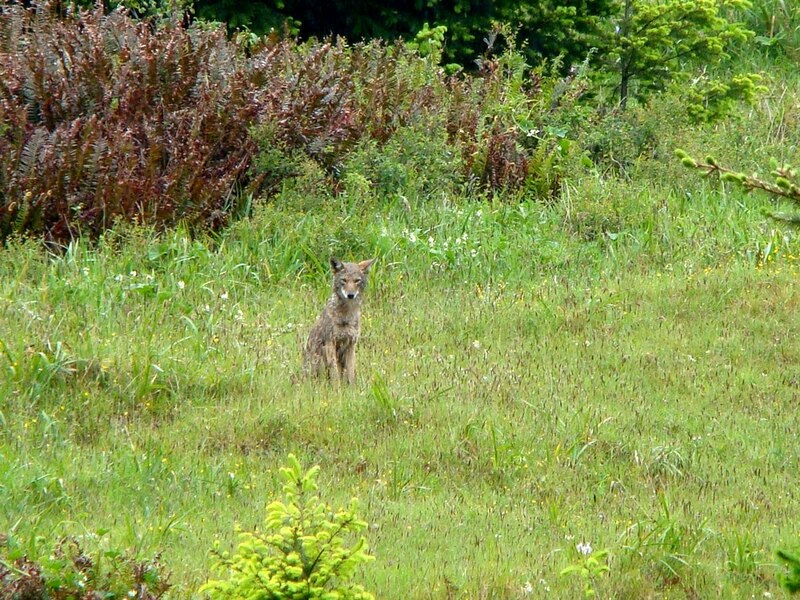 He was curious about the world, and decided to see more of it. He made trips to Europe and Russia. He traveled back to the towns he had grown up in during the Great Depression and World War II. He looked up friends and acquaintances from decades past (and he did it the hard way, by telephone book and road maps; Facebook wasn't invented yet!). In his nineties, he is certainly slowing down, but he found a richness in his new life that was quite different than what came before. I respect him in so many ways for that. 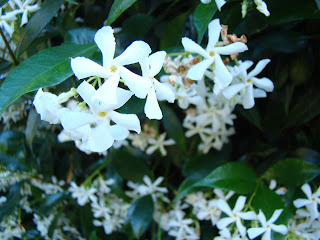 So this is a post about the rigors of the routine life. Routine gives our lives structure and stability. We work very hard sometimes to maintain it. We work, we eat, we sleep, we start over again, and there is a certain comfort, a big comfort really, in knowing what is coming next. I certainly have a particular routine in life. It was a different life from the person I spoke of above; I had chanced into a career that I loved, and it was career in which traveling and discovering the world was occasionally part of my job responsibility. I just had to be sure I was bringing students along with me! I'm just a few days away from leaving on a long journey through the Pacific Northwest and Northern Rocky Mountains and I am looking forward to it in so many ways. But a funny thing happened earlier this year. Actually not a funny thing at all, not in that sense. We've always had to struggle with tight budgets at my college; it's a fact of life that we must not waste taxpayers money, and yet offer the best possible education to our students that we can. But this year was different: the cuts were far deeper and whole programs were terminated. No one knew whose programs were on the chopping block, and it is an ugly feeling knowing that one could possibly lose a job after decades. And too many of my colleagues did lose their jobs. It's a story familiar to untold millions in our country during this depression (and that is what it is; the bankers may have their trillions, satisfying the economists that things are better, but I am surrounded by unemployed friends and foreclosed homes). It has been a scary year. So I've been puttering about the yard this week, getting things weeded and trimmed so we can leave it for a couple of weeks. 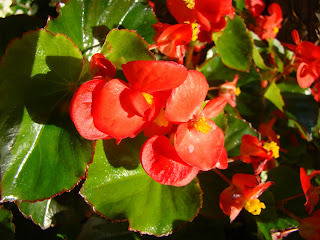 And I noticed a lot of beauty and color in the yard that had become so familiar over the years. We hardly landscaped this year; all the flowers that popped up were winter survivors or seedlings left over from last year. But they sprouted, and the porch is kind of a nice place right now in the early evening. And even before we've left on our journey, I realize I am going to miss my home a bit. We came uncomfortably close to losing it, and there is no certainty that the horrific situation at work won't be repeated next year. 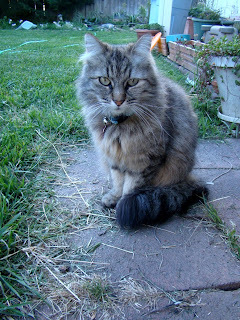 And of course I always miss my sweet (really!) 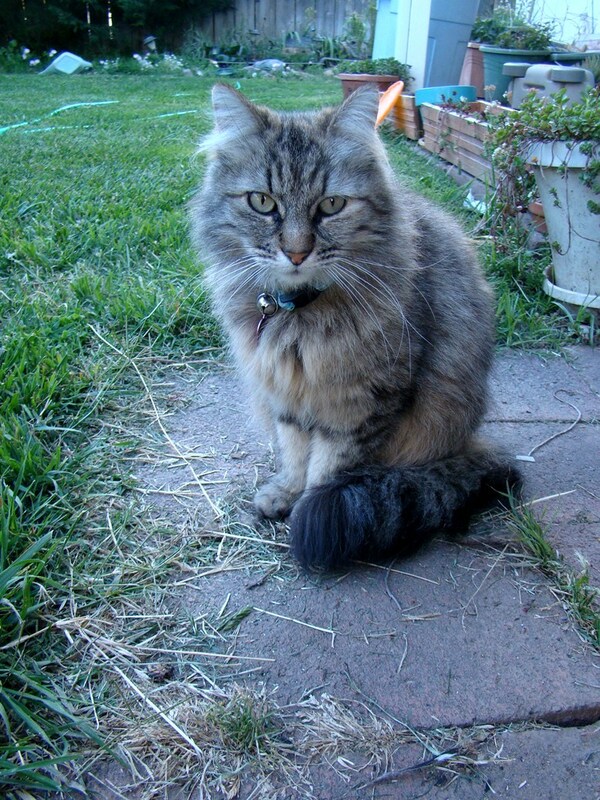 cat, and wonderful dog. So tonight is a paean to the home life and routine and appreciating the blessings of the little things, like flowers in the yard that survive my disastrous efforts at home-based agriculture. Later this week comes a brand new journey to new places and high adventure. And there are wonderful things about both. Routine can be a bad thing, a limiting thing, but it can be a source of comfort as well. We just should just avoid being trapped in it. So, quoting our good friend Truman, "Good morning, and in case I don't see ya, good afternoon, good evening, and good night!" Blogging may be a bit light or non-existent while we are on the road, but you can be sure that there will be many stories to be told in a few weeks when we return. 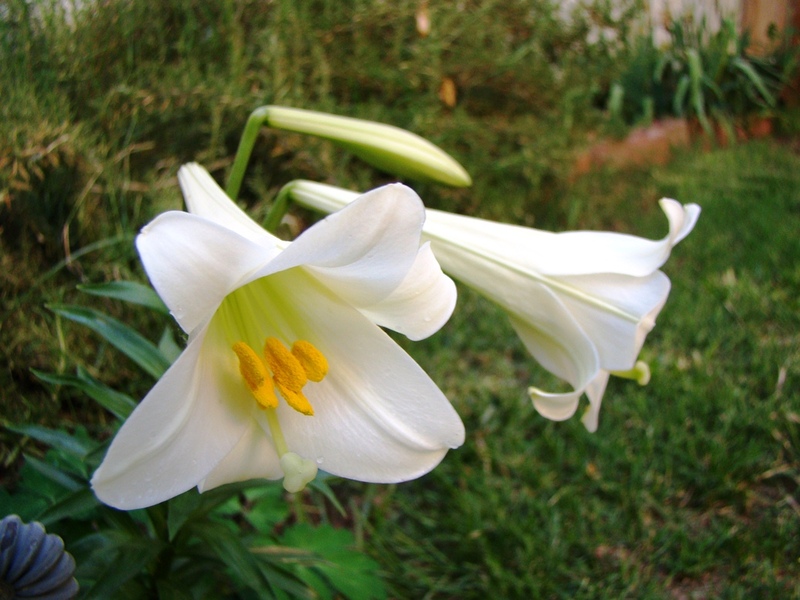 By the way, happy Easter. The Easter lilies by the air conditioner bloomed today, so it's Easter, right? 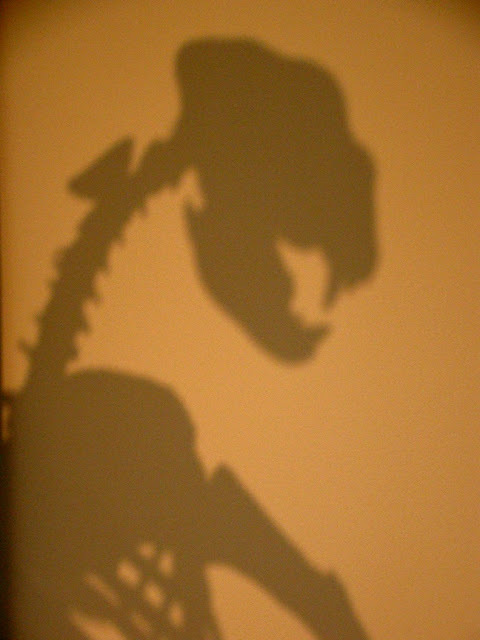 Have you ever wondered why shadows are so effective in the best horror movies? 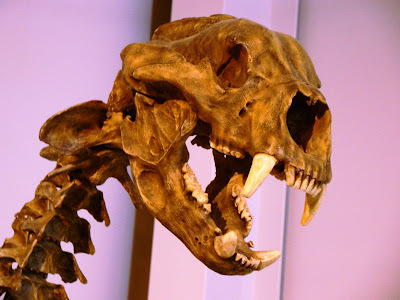 It's pretty clear to me that there is a collective genetic memory in all of us of the monsters that we think of as myths today, but which were terrifyingly real as recently as 12,000-13,000 years ago. The world was full of creatures that wouldn't have minded dining on us, and deep in our collective consciousness is a reflexive response to particular shapes and shadows. The pareidolia I wrote of in a recent post was a survival mechanism; we needed to see those faces in the underbrush in time to climb or flee to safety. 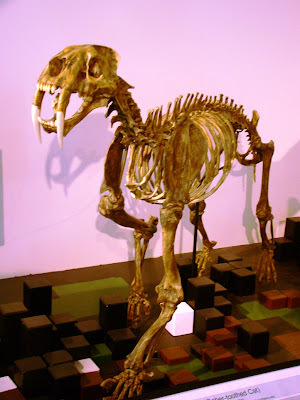 ...and there were the Saber-tooth Cats, Smilodon fatalis, (below) along with the American Cheetah (Myracinonyx sp.) and the Scimitar Cat (Homotherium serum). 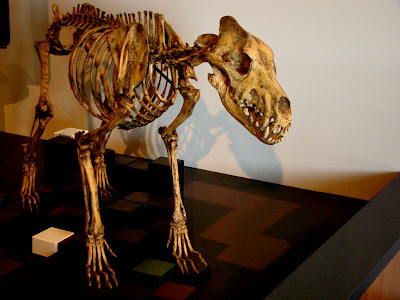 We have been living with the comforting insulation of modern civilization for a long time, but even a glance at a skeleton of these long extinct creatures can awaken nightmares in the recesses of our brains. But if you want to see the rest of these creatures in a slightly less threatening atmosphere, check out the Fossil Discovery Center of Madera County, which opened for business last year. The fossil creatures on display were found by the bulldozers of the Fairmead Waste Facility. They were digging a garbage dump, and found a treasure trove of fossil bones; 27 species of mammals and a half dozen other creatures dating from the Pleistocene. 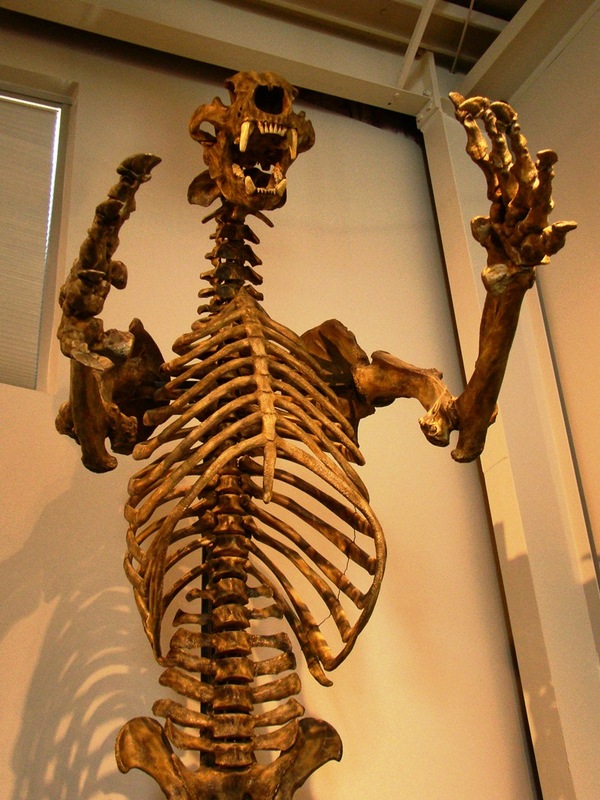 I finally got to see it a few weeks ago, and I find it to be a wonderful science resource for the region. It is well worth a visit. Gratuitous Tree Pictures...But Oh, What Trees! 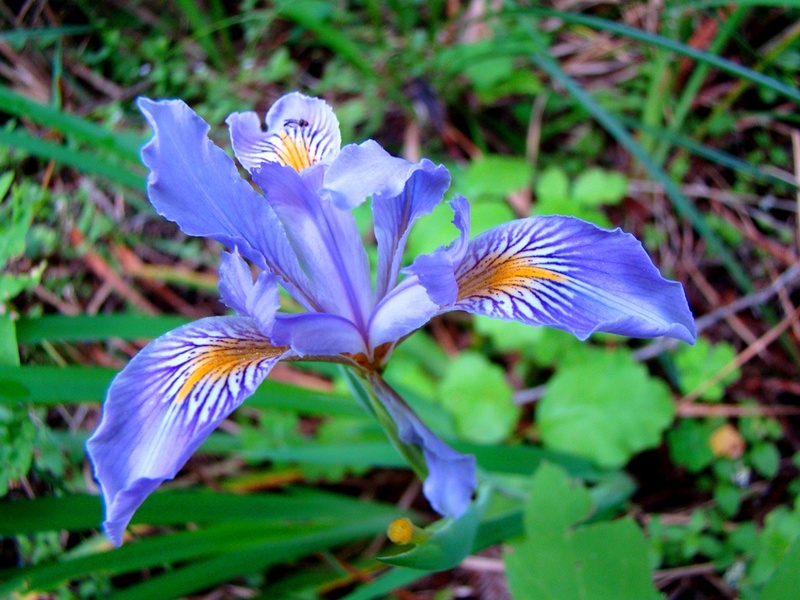 Quick...what is California's Official State Tree? And, what is the tallest and the largest living thing in existence? The answer is going to be confusing...because there are not single answers to these questions. 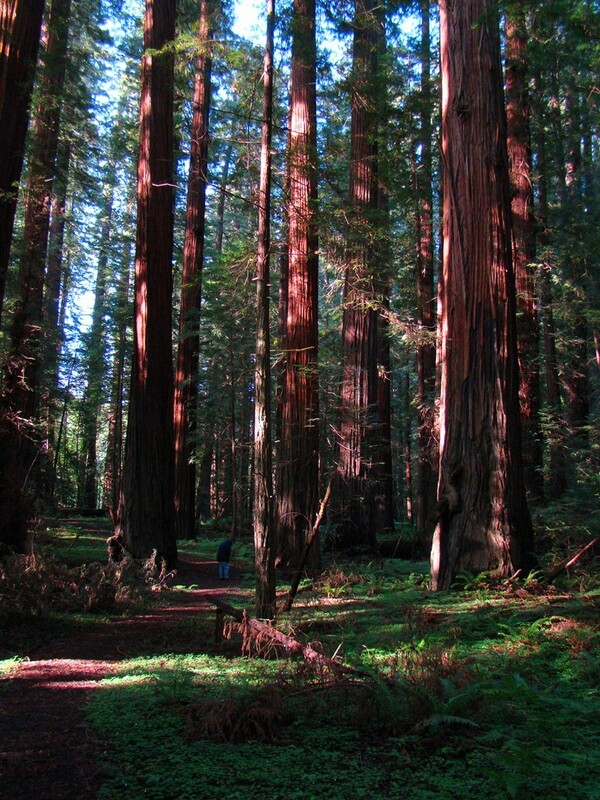 California's State Tree is the "Redwood". 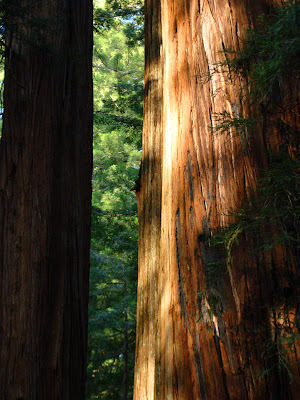 But what we call "redwood" is actually two different trees: the Coast Redwood (Sequoia sempervirens) and the Giant Sequoia (Sequoiadendron gigantea). 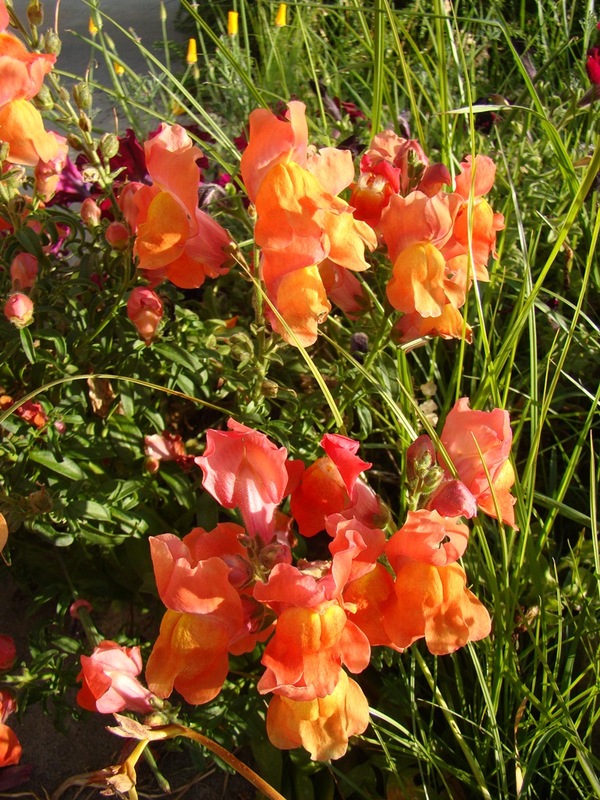 Both are native to California, but they grow in two entirely different regions. The state legislature did not seem to know the difference when they established a state tree in 1937, and it took a decision by the state attorney general and subsequent legislation in 1953 to clear the matter...California has two state trees! 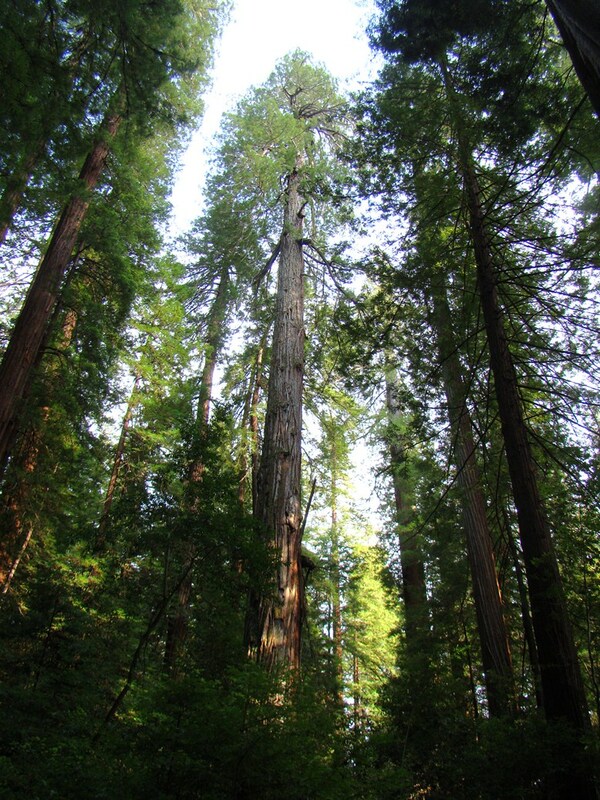 The answer to the second question, concerning the tallest and the oldest trees, can be one answer: it is California's State Tree. But one of them is the tallest (the Coast Redwood), and the other is the biggest (the Giant Sequoia). 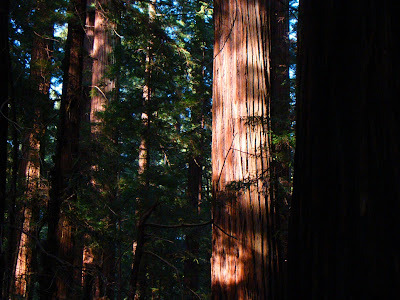 The biggest Coast Redwoods can approach 400 feet in height; the shorter stockier Giant Sequoias have the most bulk (although I've read that some of the largest of the Coast Redwoods may approach the bulk of the biggest Giant Sequoias). The Coast Redwoods are by far the most plentiful, growing in coastal mountains (surprise!) 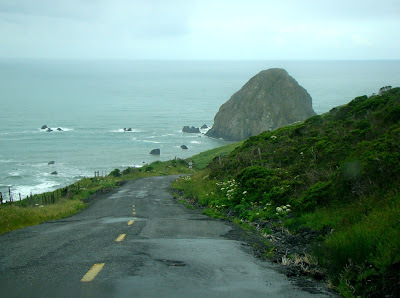 from Big Sur to just beyond the Oregon border. The wood is durable and resistant to fire and bug infestation, and was favored right away in construction. The loggers moved in, and in the last century and a half, more than 95% of the original groves were cut down. 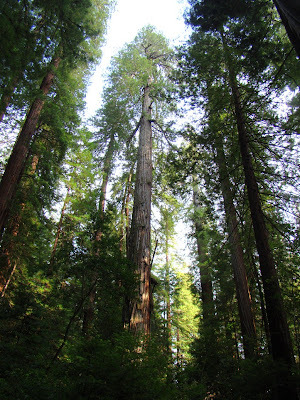 Remaining old-growth forests are preserved in Redwood National Park and numerous California State Parks, including several that are slated to be closed by the state legislature due to funding shortages ($22 million out of a budget of tens of billions...very sad and counter-productive; state parks produce local revenue). 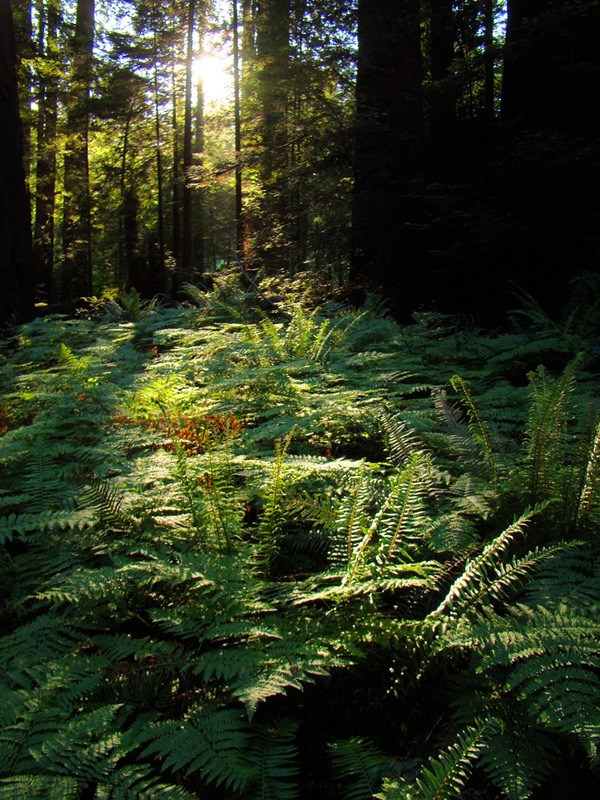 One of the largest of the state parks is Humboldt Redwoods State Park in the drainage of the Eel River upstream of Fortuna. Humboldt Redwoods was also the end of our journey on the Mattole Road loop along California's Lost Coast. 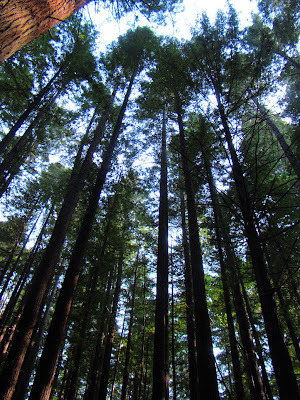 The trees grow in regions of extremely high precipitation, sometimes approaching 100 inches. 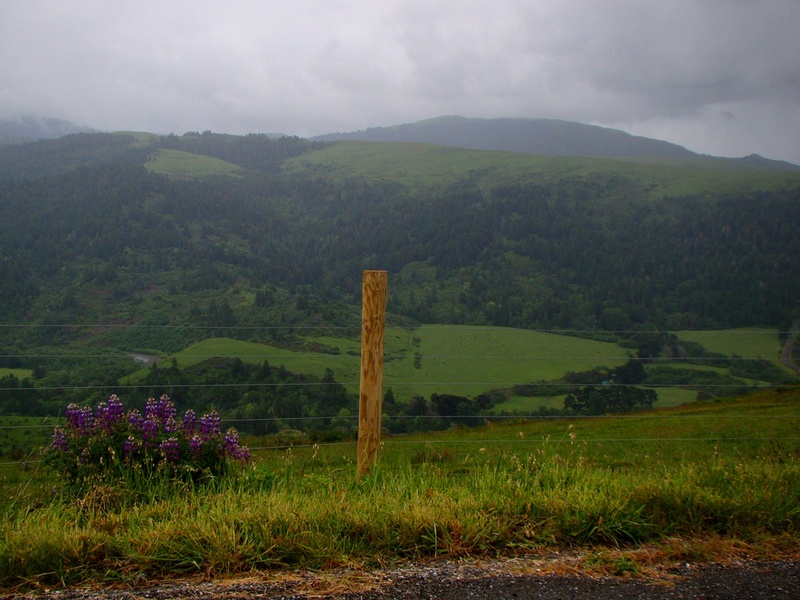 In the northern California forests as much as half of the precipitation comes in the form of drizzle from fog, and that is one of the threats to the future well-being of the trees. 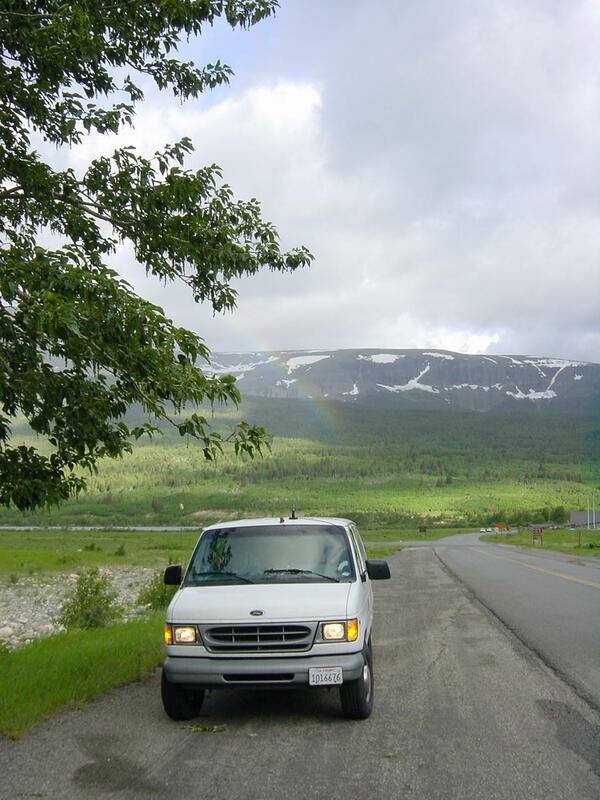 Global warming is leading to a decrease in the number of foggy days in the region (about 24% fewer days in the last half-century), and studies are underway to understand how the trees will deal with these changes. The trees happen to exist in one of the most geologically active corners of the state of California. 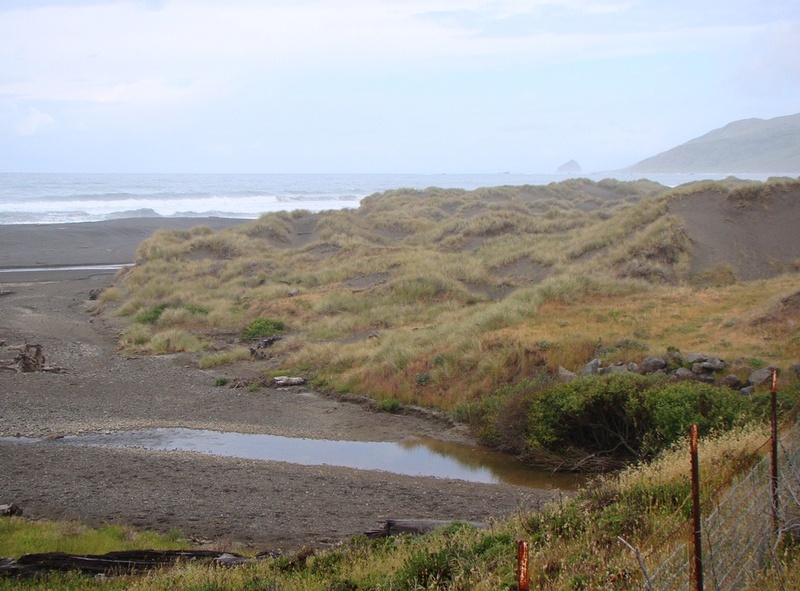 The Coast Ranges have formed very recently at the nexus of several major fault systems, including the San Andreas fault and the Cascadia subduction zone. Numerous magnitude 7 quakes have shaken these forests in historic time, and every three centuries or so the subduction zone lets loose with a magnitude 9 catastrophe (similar in size to the recent quake in Japan). The rocks that underlie the forests (at least in the region I visited) are the chaotically twisted and deformed sandstones and shales of the Franciscan Complex. At Humboldt Redwoods State Park, the rocks are part of the Eocene to Paleocene Yager Terrane. The poorly lithified rocks are subject to rapid erosion and mass wasting (landsliding), especially in areas where logging has removed the protective bracing of living tree roots. There are few words that can describe what it is like to wander in these forests of giants. The forests have a primeval feel, and it comes with justification. 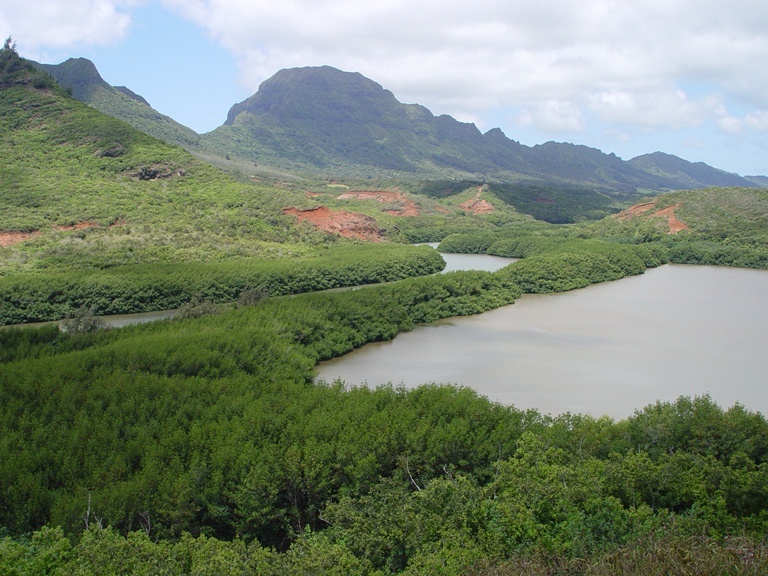 The history of these trees reaches back into the Mesozoic Era, which means that dinosaurs, instead of Bigfoot, once wandered through forests like these. Perhaps Pterosaurs once roosted in their branches. The trees once had a much wider range, with fossils having been found across most of the northern hemisphere, including Eurasia. 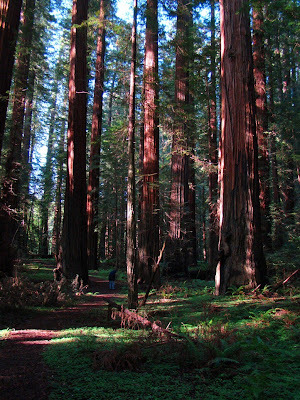 The third species of Redwoods known, the Dawn Sequoia, was found in a single grove or two in China. The trees were apparently wiped out by the ice ages, when ice co-opted most of the climates where they thrived. Fossils of Redwood species are known from Yellowstone National Park in Wyoming, and Petrified Forest in Arizona. 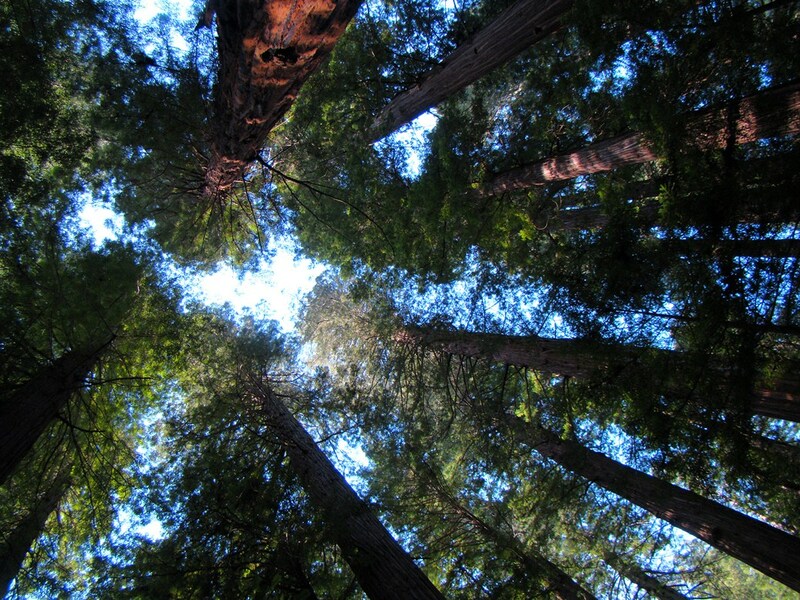 Ronald Reagan was once quoted as saying "if you've seen one Redwood, you've seen them all". He didn't quite say that, but what he did say was worse, in a way: "I think, too, that we've got to recognize that where the preservation of a natural resource like the redwoods is concerned, that there is a common sense limit. I mean, if you've looked at a hundred thousand acres or so of trees—you know, a tree is a tree, how many more do you need to look at?" The quote, from 1966, shows the problem with the attitude of many when it comes to understanding the role of the tree as an anchor species in a complex ecosystem. It isn't enough to preserve a handful of groves like a museum exhibit. Cutting up an ecosystem into little parts leads to the total unraveling of that system. It's sad to think that this isn't a case where we are threatening to do this; we've already done it. What can we do to repair it? 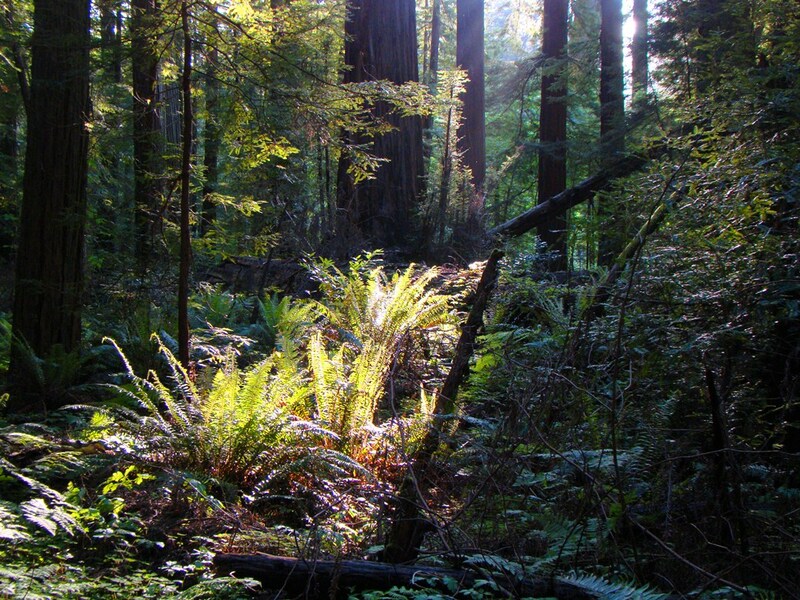 The map below is from the Save-The-Redwoods League, one of the oldest environmental groups in the world, and a group committed to saving as many examples of these forests as possible. They are worthy of our support. 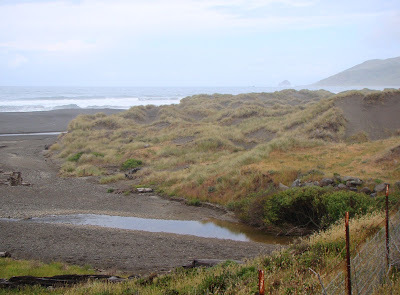 Actually today's post is the answer to three questions...there's Friday's question, and these: What's the westernmost spot in the contiguous United States California? And, at what spot you can stand really close to a triple junction? 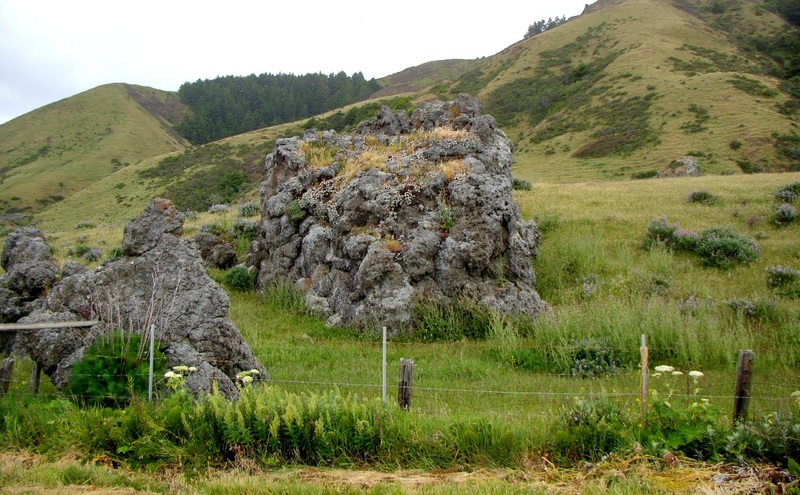 All three questions are related to California's Lost Coast. 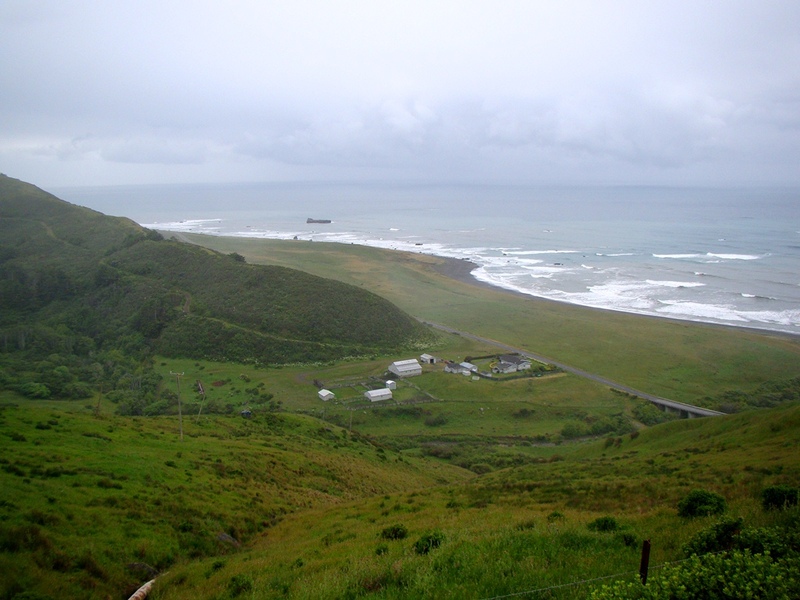 The Lost Coast is one of the few parts of California's coastline that is not traversed by either Highway 1 or Highway 101 (the area around Vandenburg is one of the others). 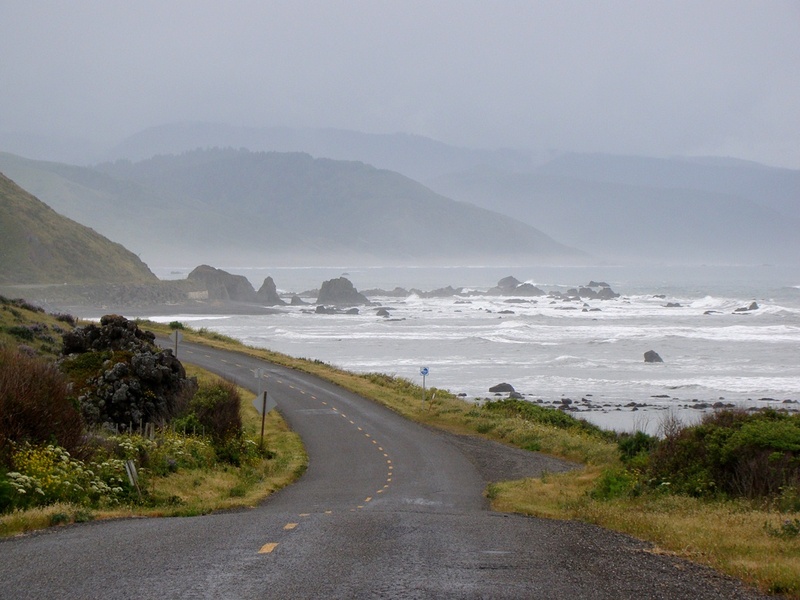 For some seventy miles between Ferndale and Rockport, the coastline is a wilderness explored only by trails or a few rarely traveled country roads. One of these roads provides access to the small village of Shelter Cove. The other is Mattole Road, which connects the town of Ferndale with the hamlets of Petrolia and Honeydew, and then joins Bull Creek Flats Road in Humboldt Woods State Park. 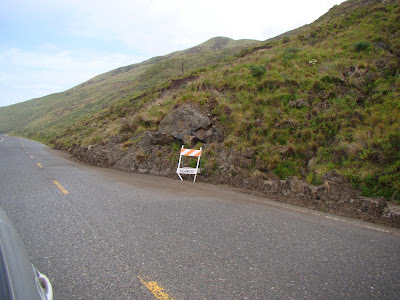 The road climbs out of Ferndale, and mostly has two lanes of pavement, except for the occasional landslide that has deposited portions of the road downslope. 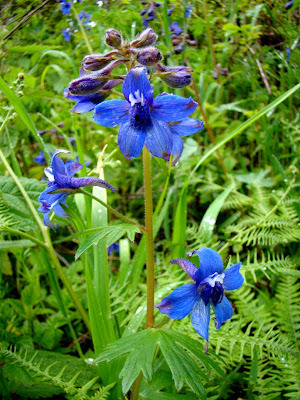 It climbs through an attractive forest, and bright displays of wildflowers. 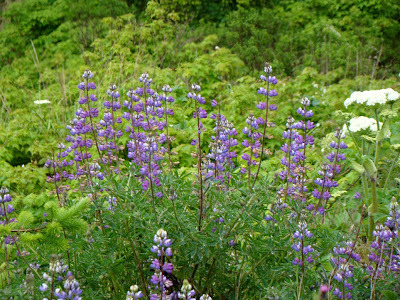 Lupines were especially common along the road, from the highest ridges right down to the coast. 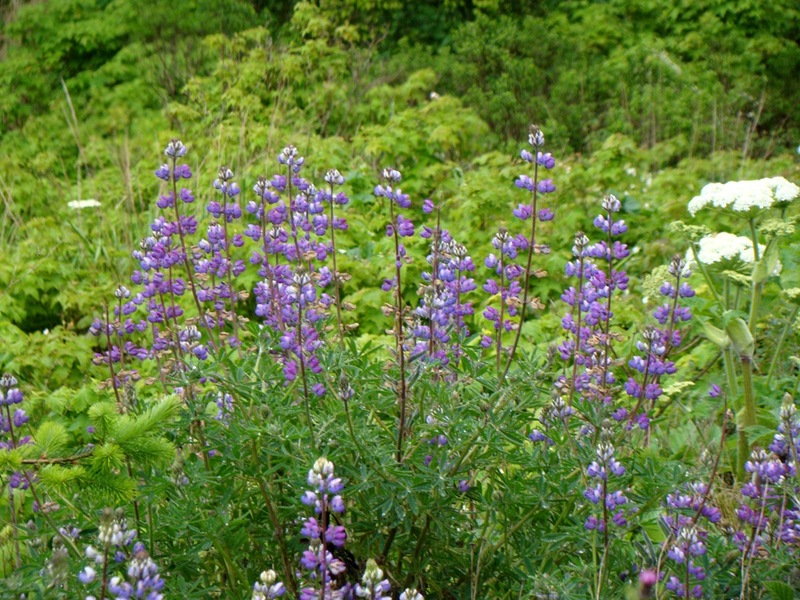 Since I love lupines in all their many incarnations, this was a wonderful sight. We crossed a series of high ridges and at least four fault zones (see the geologic map at the bottom of the post). Some of the land was forested, but much was given over to cattle grazing. The views were quite stunning. In the picture below, we had reached the valley of Bear Creek and the settlement of Capetown, which was actually a ranch headquarters and little else. The crossing of Bear Creek gave us a tantalizing view of the beach, but we had another mountain to get over before the road reached the coast. Does it seem a bit overcast in some of these pictures? This is one of the wettest corners of the state, averaging somewhere around 100 inches of rain every year. 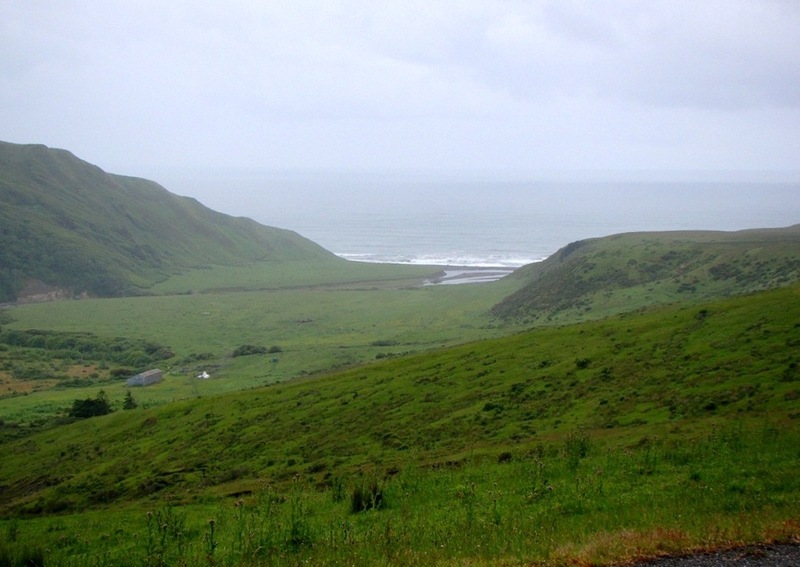 We crossed Cape Ridge, and dropped rather precipitously down a few switchbacks to the coastline at the mouth of Singley Creek. Here we find the answer to one of our questions of the day. Cape Mendocino is the westernmost piece of land in the contiguous United States California. It is not reached by any roads or trails that I know of due to private property (I'm open to correction on this! ), but the last switchback down to the coast represents the farthest one can go in a westward direction, and is only about a quarter mile short of being the westernmost point. The rock in the photo below is Sugarloaf Island, and it lies just offshore of Cape Mendocino. The road reaches the coastal plain and follows the shoreline for six miles or so. There are few pullouts or parking spots, but there is a wide spot in the road at Steamboat Rock that provides access to the beach and some excellent birdwatching. There were hundreds of them on the unusually shaped sea stack. We continued rolling south along the beach and soon encountered our mystery rock from Friday's Foto Blog (that's it on the left side of the photo below). 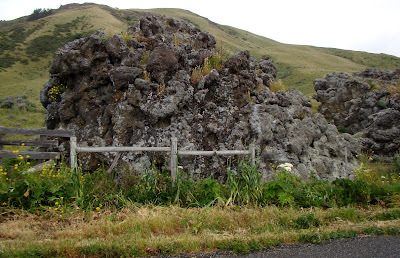 There were some great observations in yesterday's comments, and most centered on the possibility of pillow basalts, and I think that is correct (I wasn't able to get samples, so if some Humboldt friends are reading, and I'm wrong, let me know). 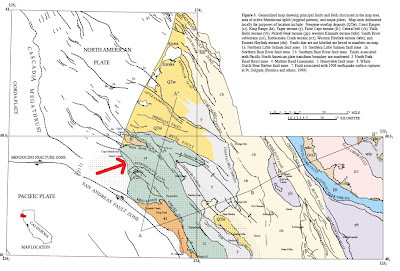 The regional bedrock is the Coast Range unit of the Franciscan Complex, the mix of rocks that formed in the churning mess of an accretionary wedge in the subduction zone that has existed off the coast of California for several hundred million years (see the geologic map below). Most of the complex is composed of graywacke sandstone and shale with bits and pieces of materials scraped off the ocean floor, including basalts that formed at oceanic ridges. Basalt that erupts on the sea floor forms the unique pillow shaped masses. 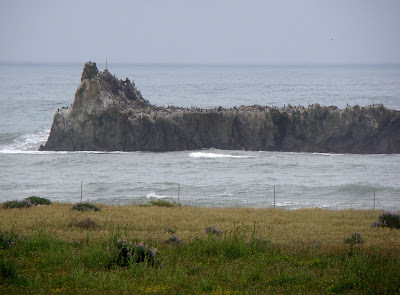 This particular outcrop was harder than the surrounding sedimentary rocks, and would have been a sea stack a few centuries ago before this section of coast was lifted up by fault activity. 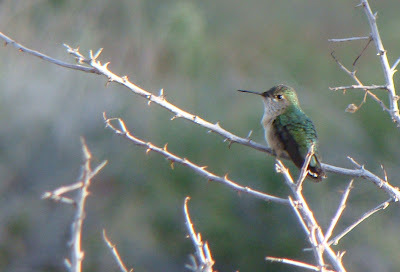 As many of you know by now, I am not the most attentive of birdwatchers, but I'm trying harder to get to know them. 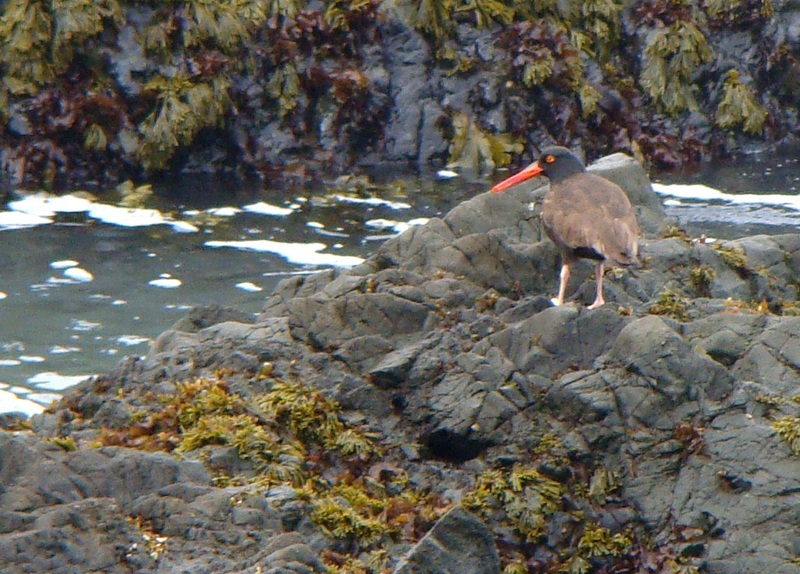 I had never noticed this unique shorebird before, and learned that it is called the Black Oystercatcher (Haematopus bachmani). As we came to the south end of the beach, we saw another somewhat rare feature for northern California beaches: sand dunes. 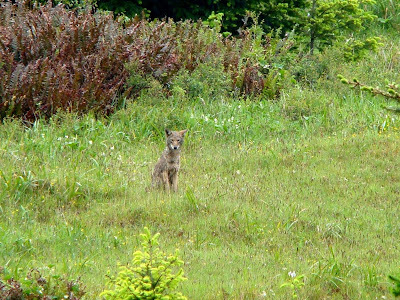 Most of the dunes were stabilized by a thick growth of grasses, but some were active. Finally, the road turned east and UP. It was time for the climb up to the little town of Petrolia, which got its name from the distinction of being the first place in California where oil was ever produced, in 1865. It was a pleasant little village of 500 or so people. The town was badly damaged by the shaking from the magnitude 7.2 Petrolia quake in 1992, which brings us to the answer to the third question. A triple junction is a point where three tectonic plates meet. 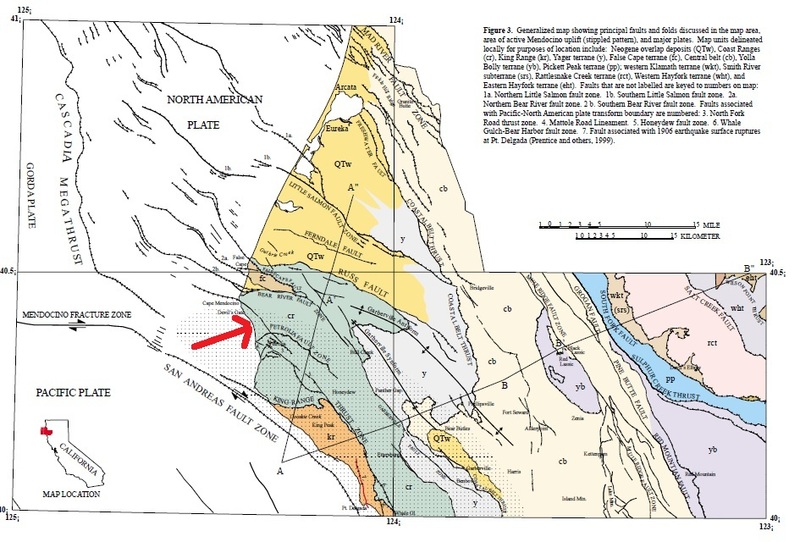 In this case, the North American Plate and Pacific Plate are separated by the San Andreas fault, which can be seen to pass the region just offshore (there were offsets here from the 1906 in San Francisco!). The San Andreas curves out into the Pacific, and just a few miles offshore meets a subduction zone that divides the North American Plate from the Gorda Plate. It is clear from the earthquake activity and ongoing mountain-building in the region that this is a focus of intense geologic activity. As far as I know, when standing on the coast here, you are standing practically as close to a triple junction as you can anywhere in the world, except for the Afar region in Africa, or at Mt. Fuji in Japan (anyone else know of triple junctions on land? It's late and my mind is fuzzy!) 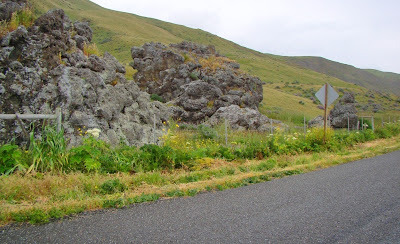 There is much more one can say about this road, but this is a long post already. 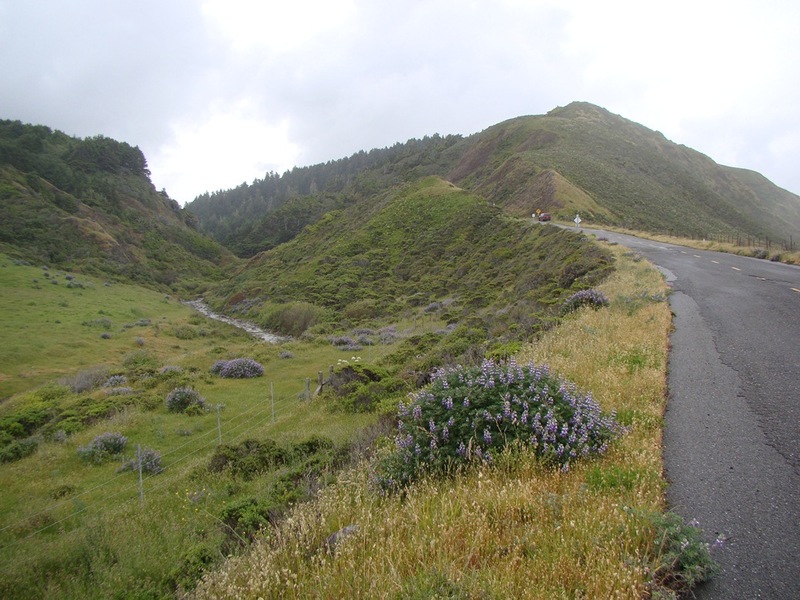 I haven't even mentioned the Mattole River and Humboldt Redwoods, which dominate the last thirty miles of the road. Suffice to say it was spectacular. 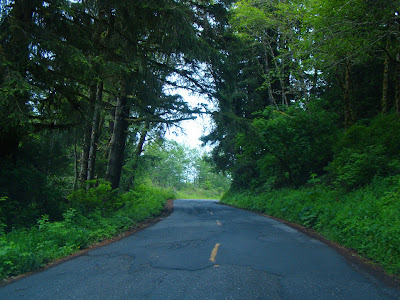 It is certainly worth mentioning that the road was not crowded. It doesn't go anywhere in particular, which means that the value of following it is the journey, not the destination. 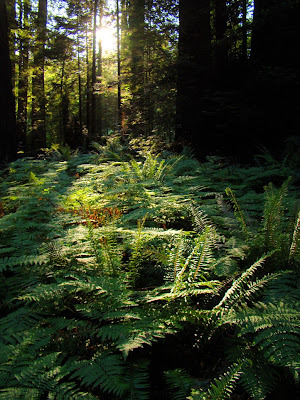 I certainly want to go back when I have some time to explore some of the corners and canyons, especially in the higher parts of the Humboldt Redwoods. 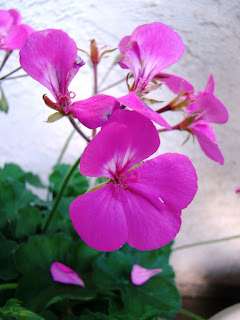 By the way, I think this was my 800th blog post. Who figured? The ending of a desert journey leads to a new quest in a land of much water. Let's begin by looking at some rock outcrops that are probably often missed by people whose attention is drawn the opposite direction. So, the challenge of the day is to name the composition of the rocks, and describe the way that they formed. Extra credit for pointing out where they are, because it will mean you are a traveler of obscure backroads in California. 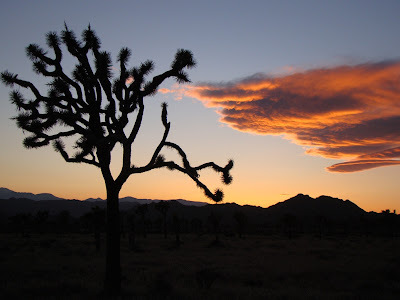 Wrapping up a week of posts on Joshua Tree National Park, I am offering up a miscellany of life at the unique park in Southern California. A visit in the middle of May is a bit past the height of spring bloom, but there were a few flowers left to enjoy, no doubt assisted by the cool spring. It certainly didn't feel like summer out there. 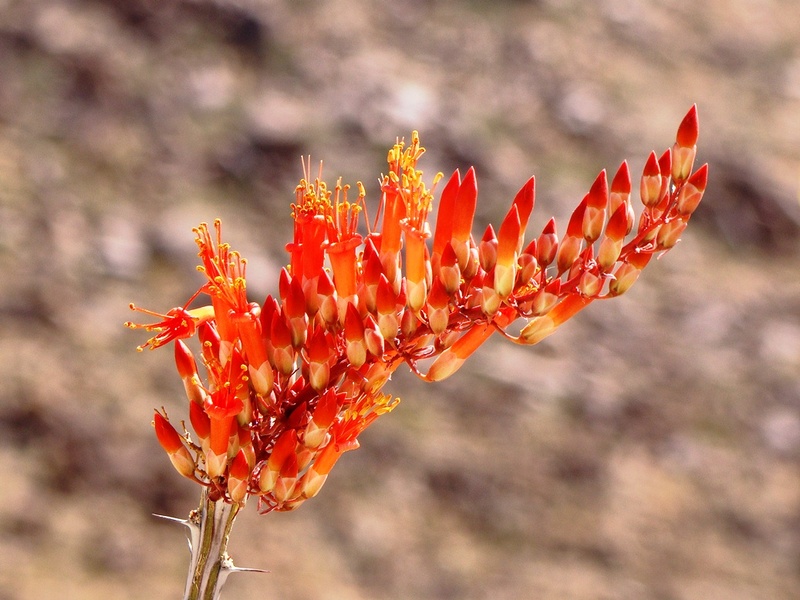 One of the most dramatic flowers we saw was the ocotillo, a Colorado Desert species that lives in the lower elevations of the park. The ocotillos near Cottonwood Springs were bright with color. 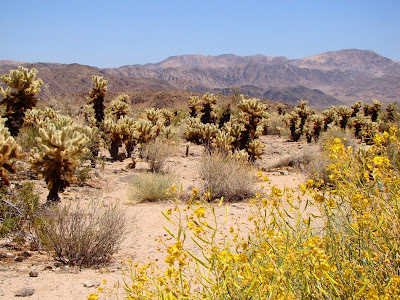 One of the oddest corners of the park is the Cholla Garden at the western end of the Pinto Basin. Chollas are one of the most viciously defended plants one will ever come across. 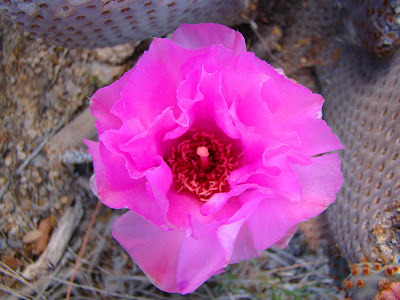 The thorns of the plant are hooked in such a way that if you brush against it, the branch will break off and stick to your skin, by the painful thorns. When you try to brush it off, the thorns stick to your hand. A comb is a vital piece of hiking equipment when hiking in cholla country. 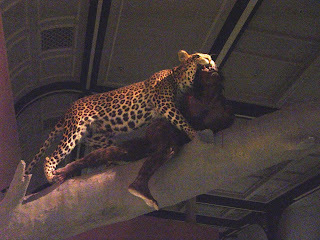 The tendency to break off, besides leading to the "jumping" legend, is also an efficient way of propagating the species. The broken branches can sprout when they get dropped off at a new location. In most places of the lower desert of Joshua Tree the chollas are widely dispersed, but at Cholla Garden, the chollas are growing in a nearly pure stand, probably due to perfect soil conditions. 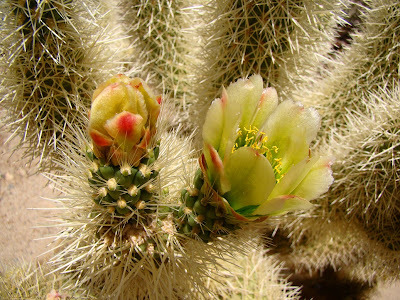 Despite the nasty reputation, the Jumping Cholla has a beautiful flower, as can be seen below. 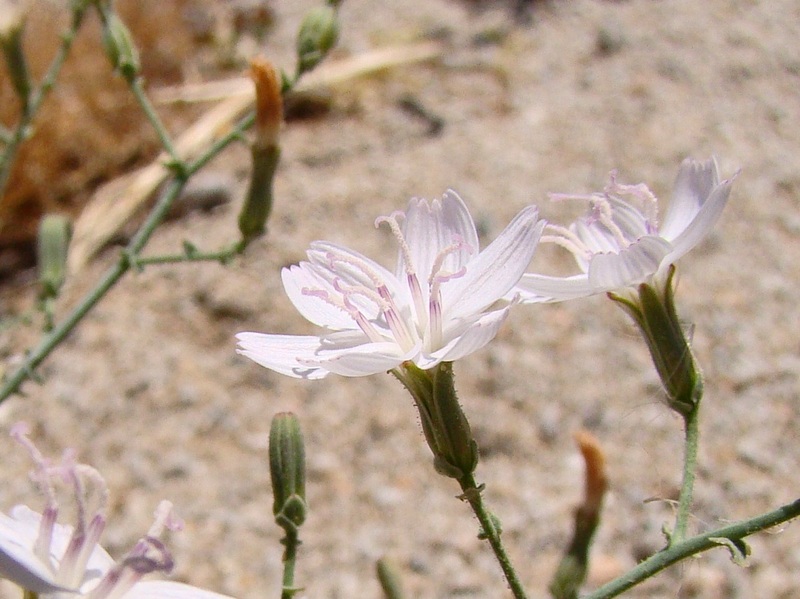 There were a lot of diminutive flowers to be found across the desert, one of which I didn't have any resources to identify. Any help out there? 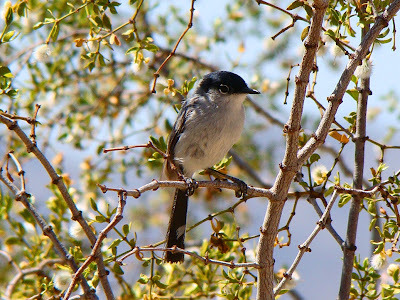 The rich vegetation was bringing out all manner of insects and birds and reptiles. At the south entrance of the park, I caught one I've never noticed before. 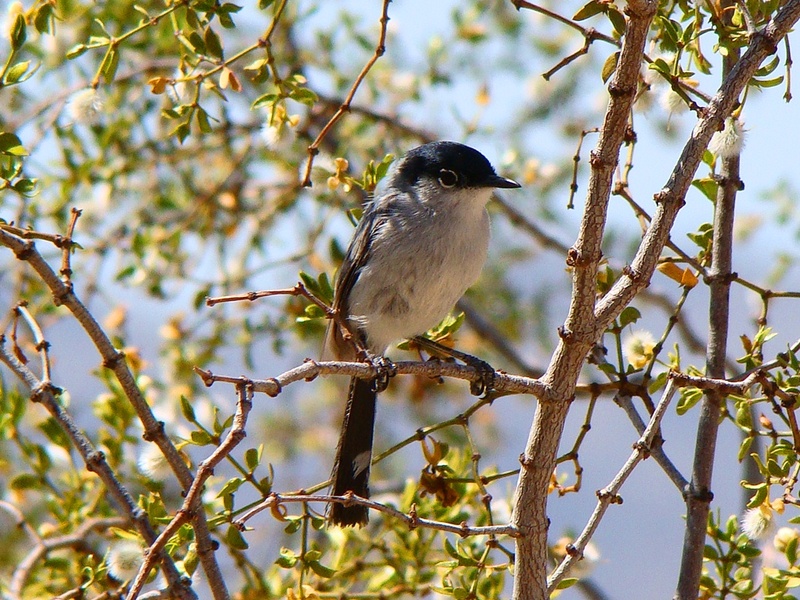 It turns out to be a gnatcatcher, perhaps the Blacktailed or California species. The presence of flowers meant rich time for the hummingbirds, not a species I usually associate with the desert. 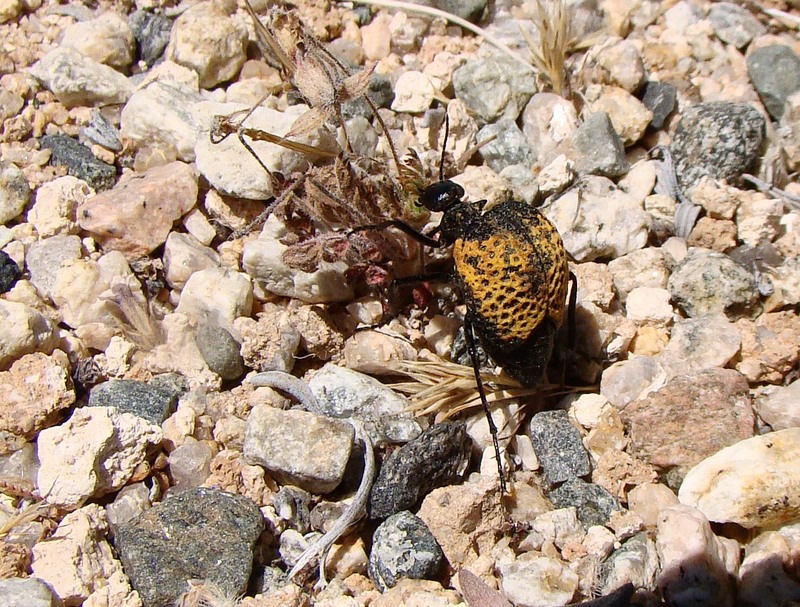 I saw this one near the Barker Dam trailhead. There are the usual reptiles. This lizard was well-camouflaged at the base of a fan palm at Cottonwood Springs. 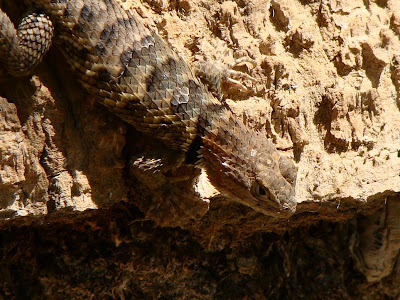 I'm assuming a Western Fence Lizard, but will appreciate corrections. Finally, a mystery beast from the desert. I saw this...something or another...walking across the desert in the Pinto Basin. I thought some kind of wasp from the size, but I haven't a clue what it really is or what that...thing...is on its back. Anyone want to pitch in here?